See scan - perfect condition. 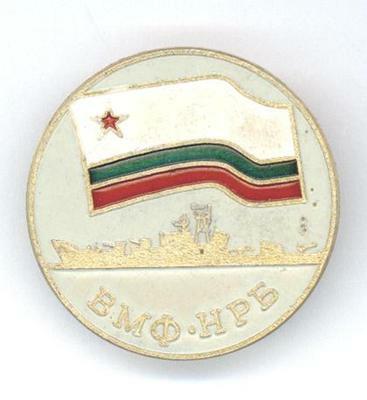 This is a nice and rare 1970ies Bulgarian Communist / Socialist era NAVY fleet badge with the National maritime flag and a battleship underneath and abbreviated text - Bulgarian NAVY / Marine Fleet and People's Republic of Bulgaria. Rare military / militaria collector piece and one of the nice Bulgarian badges.